The Trans Bolinas in cerulean blue evokes a figurative landscape with its horizontal orientation. 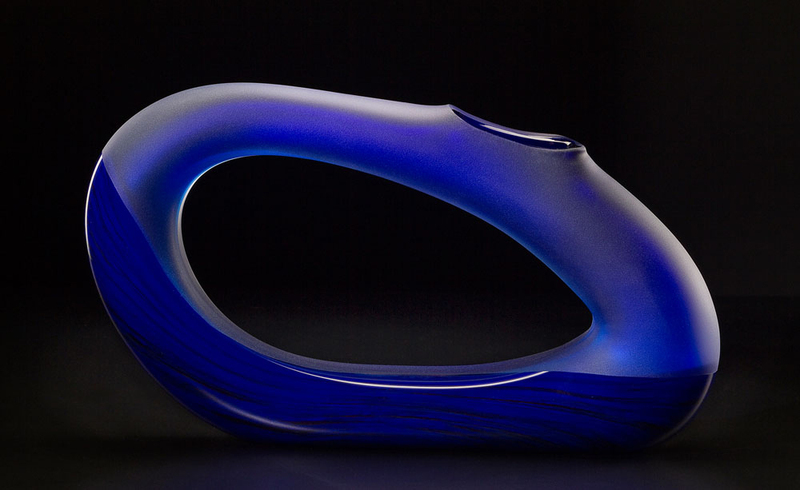 Transparent blue and opaque lapis blue are combined to form a contrast within the hand blown glass. This art glass sculpture has polished and sandblasted to create the translucent look.